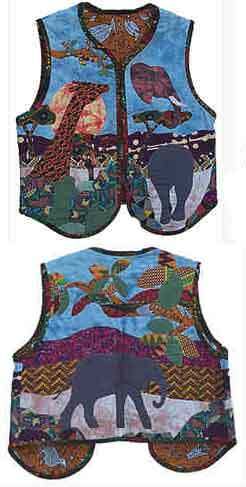 Applique your way to a wild life vest. A tree branch spans the upper back with a snake coiled through it. Below, is an elephant. Full sized, numbered pattern. Small, medium and large.